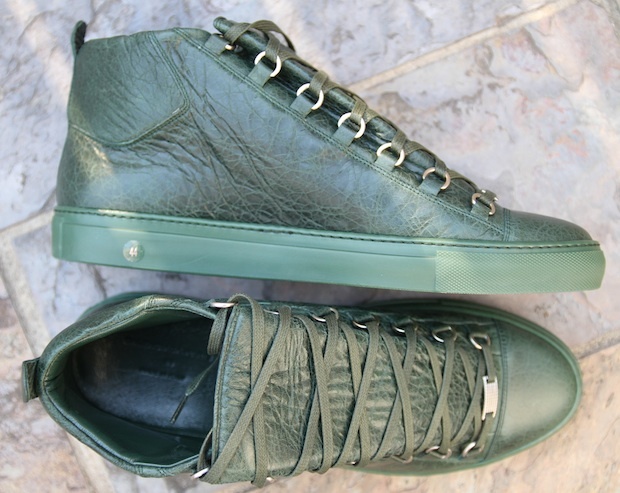 Balenciaga follows up their popular all red Arena model with a tonal green version for the fall. 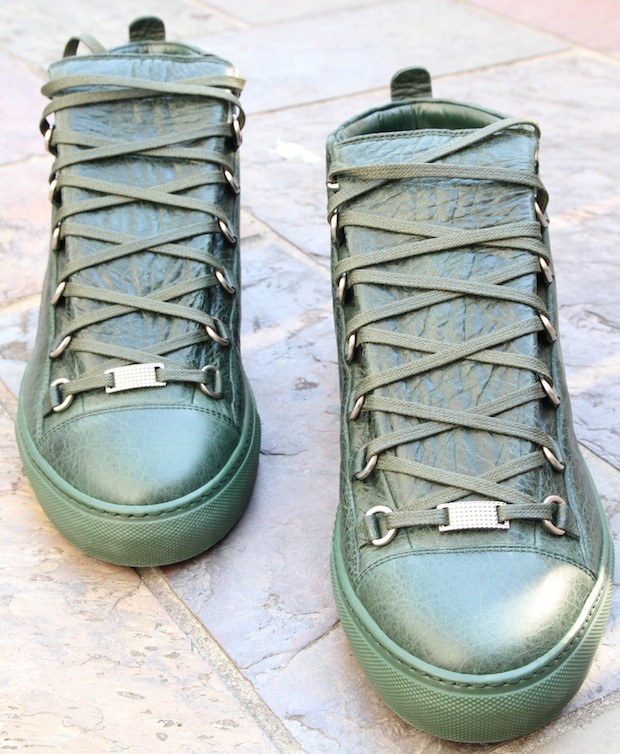 Arriving at Balenciaga boutiques and retailers is this deep green tonal take on the popular Arena model. 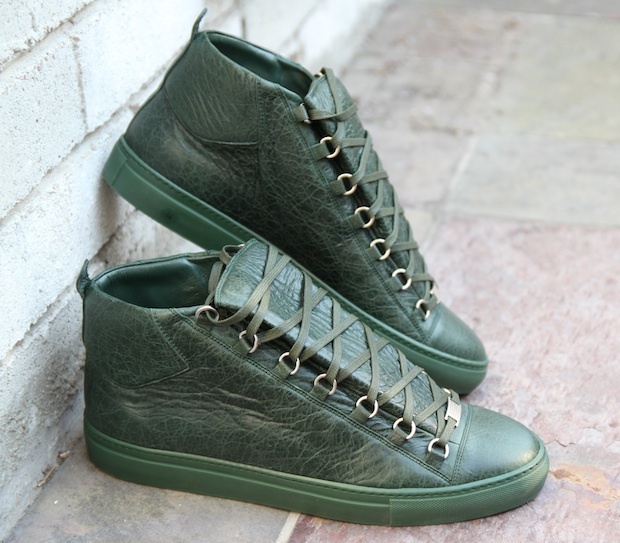 Following up the well received all red version, the mid-cut cap toe sneaker features a recognizable propped lying tongue and boasts a rich distressed lambskin upper. The Arena will retail at $545.